The XXIII International specialized trade exhibition»MVC: Grain-Mixed-Fodder-Veterinary» took place from January 30th to February 1st, in the 75th pavilion of the VDNKh. This largest industry annual event attracted more than 400 exhibiting companies from 25 countries: Austria, Germany, Canada, Bulgaria, France, Serbia, Spain, Switzerland, China, etc. The exhibition was attended by more than 10,000 people. Our company has been a regular participant in the exhibition for the last seven years. This year all of the expectations were exceeded with the number of visitors to the MedoproVet booth. Over 100 business meetings and negotiations with partners and clients, industry experts and scientists were held during the exhibition. Veterinary products and feed additives for all types of productive animals were presented at our stand. Our guests received detailed professional advice from the company leading specialists on the content, feeding, and prevention of diseases in livestock and poultry. 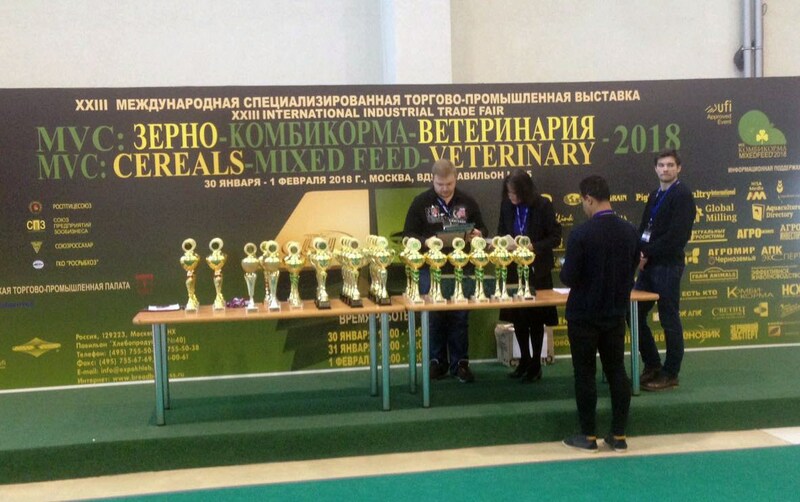 If you didn’t have time to visit our stand, we will be glad to answer all your questions by phone: +7 (499) 350-25-78, +7 (495) 710-77-25, by e-mail: info@medoprovet.ru or using the feedback form in the «Contacts» section.